A viral article in Philly Magazine mistakenly reports that millennials have killed mayonnaise. Mayonnaise is delicious, which is why it’s the bestselling condiment in America. Lots of people claim to hate mayonnaise, but they eat a ton of mayonnaise, sometimes without even realising it. You can call something ‘aïoli’ but it’s still flavored mayonnaise. Millennials are at it again. This time, they have killed mayonnaise. Or so says Sandy Hingston in a viral article for Philly Magazine. What’s Hingston’s evidence that mayonnaise has been killed? Her daughter doesn’t like mayonnaise. Seriously, that’s it. She has two children, only one of them likes mayonnaise, not as much of her potato salad is getting eaten at family gatherings as it used to be, therefore mayonnaise is dead. Sorry, this is not data journalism. This is just one person’s confession that she’s apparently not as good at making potato salad as she used to be. I have the real news for you, millennials: You like mayonnaise. You like it so much, you made it America’s bestselling condiment. If you hate mayonnaise, why do you eat it all the time? Do you order sandwiches in restaurants? I am pleased to inform you that you are eating mayonnaise. Do you eat lobster salad or chicken salad or Waldorf salad or cole slaw? Mayonnaise. Mayonnaise. Mayonnaise. Mayonnaise. Do you enjoy foods that come with “aïoli” or “spread” or with sauces that are creamy in texture but can be packed at room temperature in little shelf-stable cups? What you’re enjoying is flavored mayonnaise. Consider one of Hingston’s examples that is meant to show millennials are abandoning mayo for more strongly-flavored condiments: the appearance of a “Signature Sriracha Burger” as a test item at McDonalds. McDonald’sThis burger for millennials has mayonnaise on it. Look at that delicious sauce. It’s pink. That’s how you can tell it’s not unadulterated sriracha – it’s something called “Sriracha Mac Sauce,” which is an emulsified sauce containing soybean oil, egg yolk and vinegar – which is to say, it is a mayonnaise. If that hamburger looks delicious to you, you like mayonnaise. Classically, mayonnaise is made from egg yolk, vegetable oil, lemon juice and/or vinegar, mustard and salt. When you think about that ingredient list, it’s obvious why mayonnaise makes food taste better: it adds fat, salt, and acidity. People sometimes complain that mayonnaise is boring, but they are missing the point of mayonnaise. You’re not supposed to eat mayonnaise out of the jar with a spoon. It’s a flavour enhancer. It’s a supporting character – it makes other foods taste better. 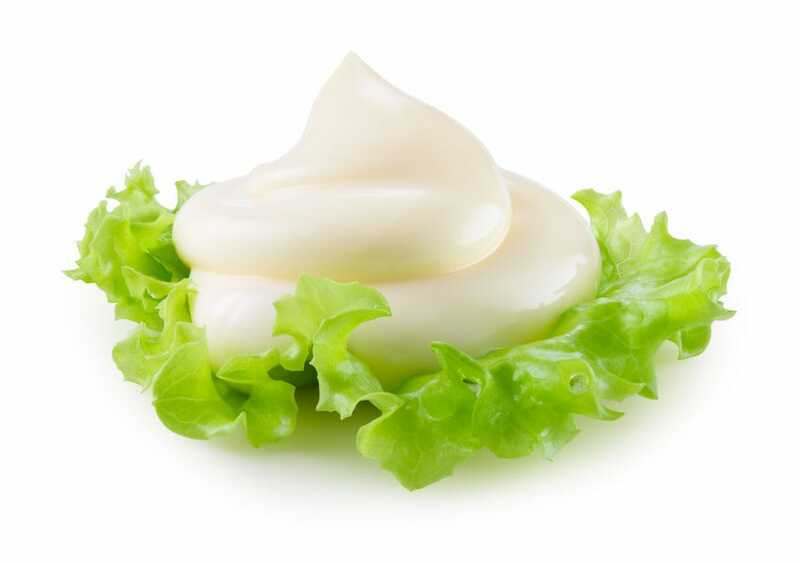 Mayonnaise can be even better if you boost its flavour directly. The most prominent example of such a mayonnaise-based sauce used to be thousand island dressing: mayonnaise, ketchup and chopped pickles. Now, you can put any kind of flavoring in mayonnaise, call it an “aïoli,” and sell it to millennials who claim to hate mayonnaise. But as Shakespeare said: A mayonnaise by any other name would taste as rich and creamy. The texture. The viscosity. The ooze. Nobody wants to think about a jar full of jiggling, glistening mayonnaise. I will admit to getting a little squicked out when I pick up the jar of Hellmann’s and stick the knife in to make myself a delicious sandwich with some peppered turkey, Swiss cheese, heirloom tomatoes, and basil. But I know my fortitude in handling the jar and spreading that slippery mayonnaise liberally on both pieces of toast will lead to an outstanding flavour experience – moistening the turkey breast, elevating the flavour of those tomatoes, making my sandwich far more delicious than it could be with some mustard. You may not be able to bring yourself to do this at home. But cooks in restaurants do this on your behalf all the time, and you are grateful. Even if you don’t realise it.